The AAA estimates that nearly 95 million people will hit the roads this holiday season, so it's best to relax and enjoy the ride. 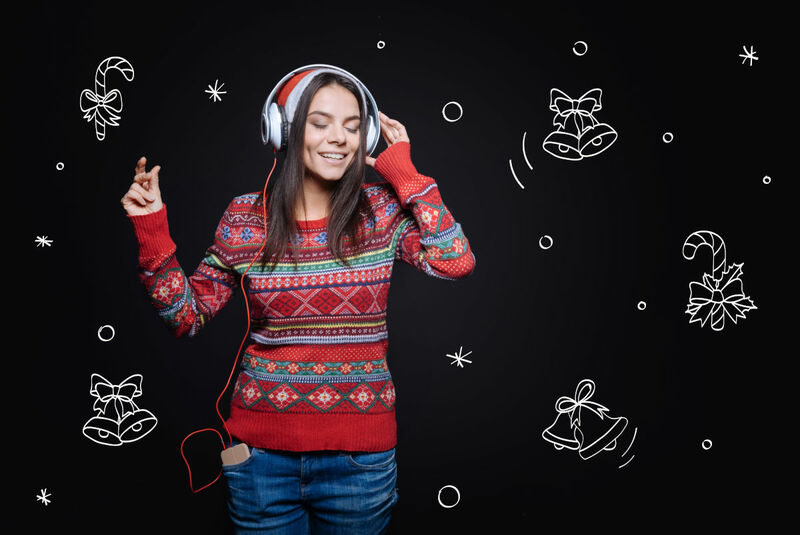 Here's a playlist to make your journey merry and bright, with Christmas classics from Elvis Presley and Mariah Carey to the Jackson 5, Bing Crosby and more. Sign into your Spotify account to listen to the entire playlist. If you don't have an account, it's free to sign up. Rock legend Chuck Berry suggests Santa take the freeway to make it to town more quickly, making this an especially relatable road-trip classic. Mariah Carey's signature vocal range makes this a car karaoke classic. Go ahead, belt out the high "youuuuuuu" at the end—but just be careful you don't miss your exit. You and Santa Claus are both coming to town, but sometimes the journey is more important than the destination. So, check your playlist twice for this Motown rendition from young Michael Jackson and his brothers. It doesn't matter if your rental sleigh is a compact Chevy Cobalt or Chrysler convertible—it's impossible to not be excited about your road trip when singing along with this upbeat 60s girl group. While we don't recommend "haulin' through the snow at a frightening speed" like the man with the beard, we do suggest you give this ode to the holiday hot rod a listen. 6. Christmas in Hollis – Run-D.M.C. While especially relevant for all those East Coast travelers, this song is for those moments for anyone sitting in city traffic instead of whimsically cruising down a country lane. The Queens trio recounts a story about finding Santa's wallet stuffed with a million dollars, which should be plenty to pay for your rental car and a few other items on the list. Why not take a page out of Eartha Kitt's book and ask Santa for a luxury rental car upgrade for your next holiday road trip? Sure, a '54 convertible might not be the most practical model, but surely you can find something to arrive down the Chimney Expressway in style. This anthem featuring George Michaels's smooth vocals can make even a holiday heartbreak a little more fun. This country classic deserves a spot on your playlist because you will be home for the holidays—even when that string of lights seems to be more red than green. This offbeat, synth-laden tale of seasonal frenzy will make your "mad rush" hour infinitely more entertaining. According to Billboard, this hit by Puerto Rico's José Feliciano is one of the top-selling holiday songs of all time. Warning: This earworm is one of the hardest to get out of your head. Darlene Love pours out her soul about missing a loved one during the holidays, and there's a good chance someone may be singing it about you while you're braving the freeway. Snow isn't always a soothing sight on a road trip, but this jazzy gem will quickly put the car at ease no matter what the weather holds. A must for anyone traveling with kids. Bonus points if your clan can harmonize like the cartoon crew. Let's face it—comic relief is key on any long road trip, as is a break from Christmas tunes. There are always a few drivers out there who might not seem especially friendly, and this humorous song is dedicated to them. This nostalgic tune from the Charlie Brown Christmas special is undeniably relaxing. Dean Martin reminds us that while it's hard to leave a holiday gathering to drive back home, being surrounded by friends and family makes it worth the while. This 1950s tune about a horse picking up the pace is perfect for those times when it seems like things on the highway should be moving a bit more quickly. This pop smash hit is a perfect way to practice harmonies when the car is full. David Bowie's signature voice brings a special twist to Bing Crosby's sultry crooning in this lovely duet. When there are still several hours left to go on your trip, listen to this tune for a reminder of all the fun coming up. A traffic cop makes a cameo in this singalong—something we hope doesn't happen on your holiday road trip. Grammy winner Michael Bublé puts a contemporary spin in this duet with the crooner that made this iconic tune a classic. This beautiful song is about Christmas but carries a bigger message about spreading peace throughout the world.